Amy Snowden, in middle age, has long since settled into a lonely life in the Yorkshire town of Gunnarshaw, until--to her neighbours' surprise--she suddenly marries a much younger man. Months later, Amy is found dead--apparently by her own hand--and her husband, Wright, has disappeared. Sergeant Caleb Cluff--silent, watchful, a man at home in the bleak moorland landscape of Gunnarshaw--must find the truth about the couple's unlikely marriage, and solve the riddle of Amy's death. This novel, originally published in 1960, is the first in the series of Sergeant Cluff detective stories that were televised in the 1960s but have long been neglected. This new edition is published in the centenary year of the author's birth. 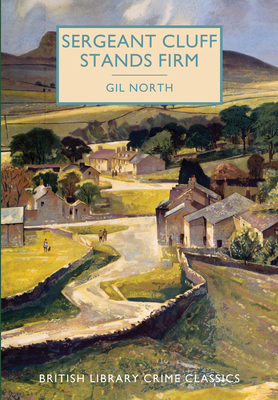 GIL NORTH was the pseudonym of Geoffrey Horne (1916-1988), a writer from Skipton who worked as a civil servant in colonial Africa for many years, before returning to his native Yorkshire. The best-known of his novels are the eleven detective stories featuring Sergeant Cluff.